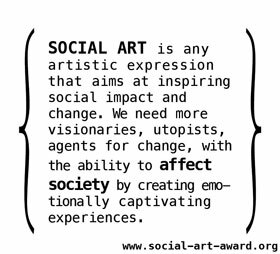 We are happy to announce that the book, Social Art Award – Invigorating The Rise of Social Art, has been released! This is a collection of inspiring art works and projects dealing with important societal issues around the world. 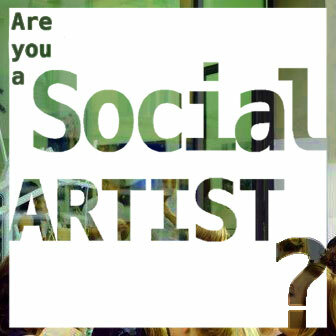 Learn more about it and get your copy of the Social Art Award Book (116 pages, English) featuring the Top50 artists.